The story tells of a remote civilisation, beyond Susa and Anshan to the east, rich in gold and precious stones (especially lapis lazuli). No one knew where it was, though, or even if it existed at all. 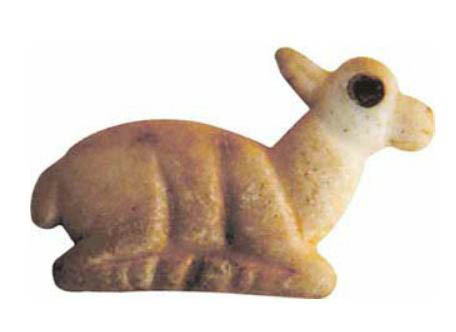 But in 2001 in the Jiroft region of Kerman province, eastern Iran, a hundred or more people were arrested for selling illegally excavated ancient material from a site recently exposed by flooding. When archaeologists began to study what the police had confiscated, they began to wonder where it had all come from. Soon there was speculation that it was from an unknown civilisation - possibly even the mythical Aratta. Excavation revealed a large site - and more objects: including tablets with writing - very exciting from this early period. The date would be from around 3,500 BC. 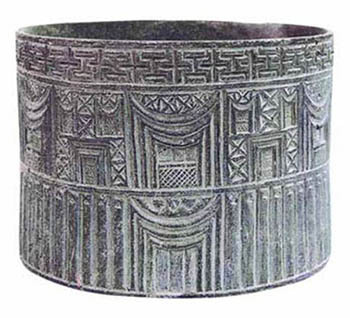 It's been suggested that Jiroft was part of the Proto-Elamite civilisation - but there is no evidence to support this. 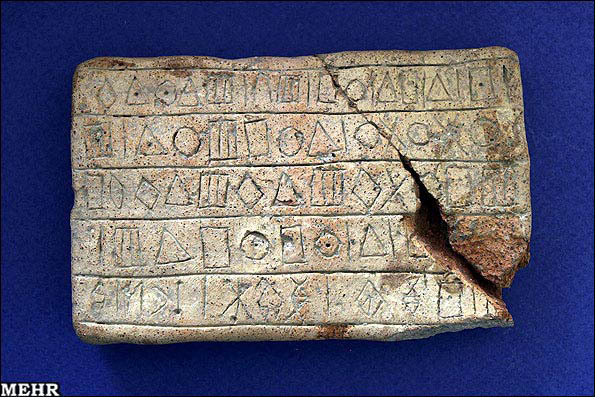 Clay tablet from Jiroft with undeciphered writing - different from the Sialk writing. 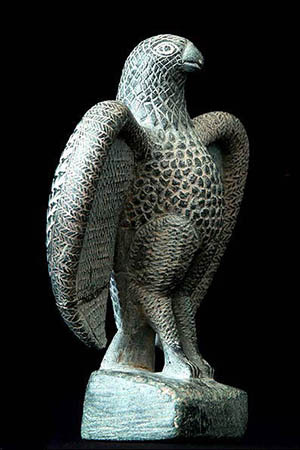 Jiroft - ancient but much looted. Thousands of objects recovered from looters near Jiroft in southern Iran seem to point to the existence of a wealthy, flourishing and even literate civilisation from around 3000 BC, which traded in gold, lapis lazuli and other goods. 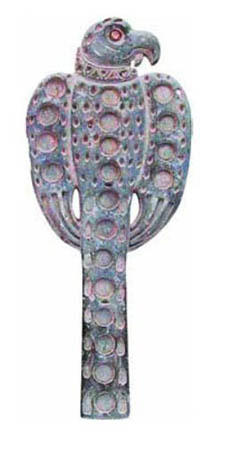 If the mythical Aratta has a basis in fact, it could possibly be Jiroft. One of the earliest civilisations in southern Iraq (Mesopotamia) which flourished from maybe around 4500 BC to around 2270 BC, when they were overcome by the Akkadians. Their language was the first to be written using cuneiform (wedge-shaped) symbols, later used for many unrelated languages in the ancient Middle East. When ancient sites are not policed and controlled, two problems often occur. First, because no one knows exactly where things were found, their archaeological value is limited. Secondly, because looted objects could be sold for fabulous amounts, and their supply is naturally limited, forgeries - often very good ones - start to appear, and sometimes even find their way into museums. Again - not helpful for the archaeologists. Jiroft has suffered from both of these, and therefore any conclusions about the civilisation have to be tentative. 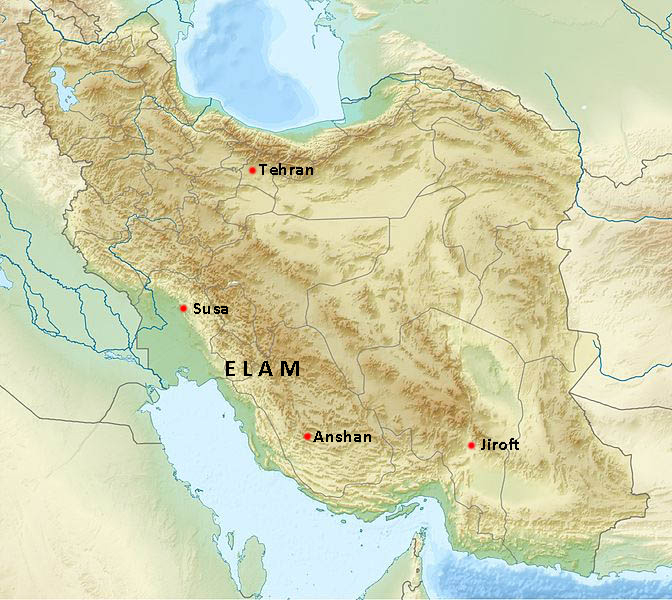 By around 3,200 BC there was a thriving trade across Iran, linking Afghanistan and India with Mesopotamia and Egypt. Standardised weights - all compatible with each other, but differently shaped according to the region - have been found linking Greece, Mesopotamia and the Indus Valley. It's very possible that Jiroft was an important staging post along this route. The most important commodities were gold, and lapis lazuli. 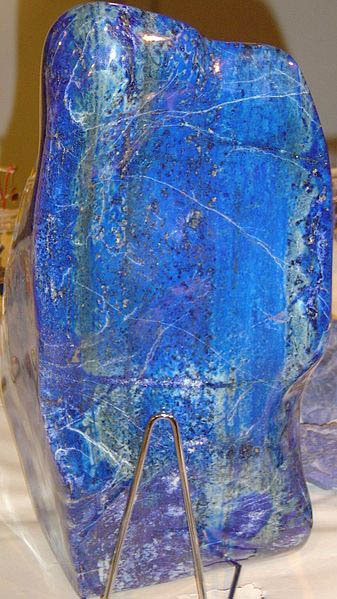 Lapis was mined in Badakhshan, in the far east of Afghanistan. It was needed for religious images in Mesopotamia and Egypt - though the religions were totally different. But both required their gods to have blue hair and blue eyebrows - for which only lapis lazuli would do. Gods had to be honoured with the rarest and most expensive materials.